Chances are if you’ve found this article you’re probably already having a rough time locating some Gaffer’s tape. Luckily, FilmToolKit is here to show you exactly where to buy Gaffers tape online. If you happen to need it immediately, we’ve also put together some info on where to buy Gaffers tape locally. There aren’t enough choices to warrant a full fledged buyer’s guide. 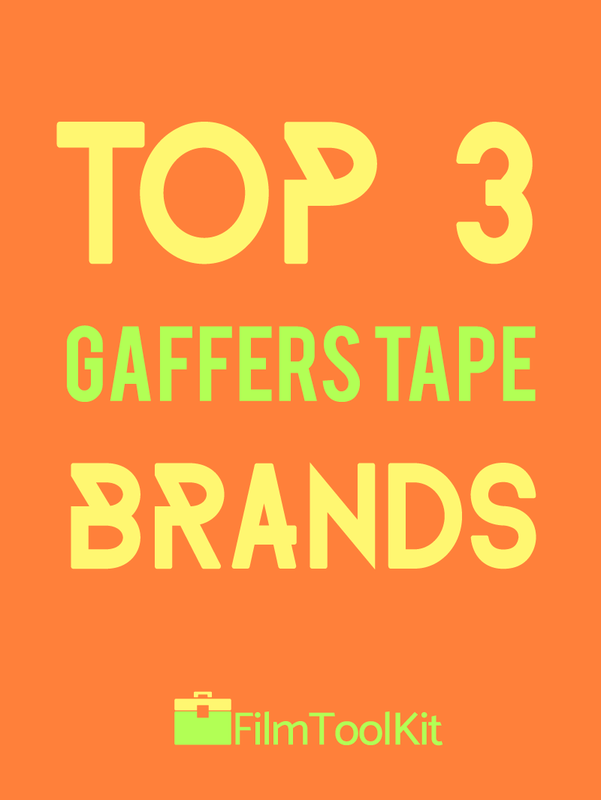 However, this hasn’t stopped us from comparing the top three brands on Amazon to help you find the best Gaffer’s tape for your budget! 1 Why Do You Need Gaffer’s Tape? 3.0.1 So where do you find Gaffers tape then? Why Do You Need Gaffer’s Tape? Do you really need to spend $10-20 on a roll of tape when a roll of duct tape is even stickier at a 10th of the price? Yes. 100 percent, absolutely, yes. We’ve already written an article on the reasons why, but here’s the bullet points. Gaff tape won’t destroy your set and gear – Duct tape and other variants use adhesive that can very easily rip the paint off of walls, strip floors, and ruin your shiny new equipment. You may end up with thousands in repair costs if you don’t use it! Gaffer’s tape always comes off clean. It’s easy to rip! – Non-gaff tapes can be difficult to get off the roll, and may even require scissors to break off pieces consistently. Gaff tape is very easy to tear apart, even allowing you to rip it into smaller strips. This is very important when you’re frantically running around the set and need a solution FAST. It has a million uses – Aside from simply sticking things together, Gaffer’s tape was engineered to have tons of different uses. They’re a perfect surface for writing on if you need to label things. They retain their stickiness well for re-use when slating. These three brands of Gaffer Tape are all very strongly reviewed, and not listed in any particular order. Each tailors to a different type of consumer and we want to help find the best one for you! GafferPower Tape is the number one best selling Gaffers Tape on amazon. It’s non reflective, easy to rip and tear, and never leaves a residue. You know. All the stuff Gaffers Tape is supposed to do. It comes in every color you could ever imagine, and is the industry standard for Gaffer’s Tape. You pay a premium of a few dollars, but the reviews are nearly flawless with all customers praising the product across the board. It seems as if the only complaint anyone has, is about the price. If you’re bringing Gaffer’s Tape to a film industry job, or you just want the best product money can buy, Gaffer Power is the definitive choice. They also have a full 100% money back guarantee, covering you with a full refund or replacement roll if you’re not completely satisfied with your Gaffer’s Tape. Tape King’s Gaffer tape has much less reviews than either of the other brands of gaffer tape we’ve reviewed. Some customers have said that the quality doesn’t match that of GafferPower or Xfasten. However, it seems to be unanimous across all reviews that Tape King Gaffer Tape does exactly what it is meant to do. It is a strong tape that sticks to what it is supposed to and doesn’t leave a residue. So why pick this tape if it is of slightly lower quality? The cost per roll is MUCH lower than the other brands we have reviewed. For roughly the same price as Gaffer Power you get two rolls instead of one. This is the perfect tape if you are a student filmmaker looking to expand your toolkit, or if you need some gaffer’s tape for non professional applications. If you have a standard large production budget, we would advise that you go with the Gaffer Power though, as you likely wont be paying for it out of pocket anyways. Cheaper than Gaffer Power, slightly more expensive than Tape King, XFasten is your middle ground in terms of Gaffer’s Tape. The reviews are just as strong as Gaffer Power but much more people purchase Gaffer’s Power. This is a quality roll of Gaffer’s Tape minus the brand power that comes with a big brand like Gaffer Power. If you don’t want to spend that much money but you want to make sure you have security with your purchase, Xfasten also guarantees your satisfaction with a full cash refund if you don’t like the tape. There are a few reviews complaining about faulty tape, but it appears that everyone who receives defective rolls is issued a full refund. If your budget is in between the two choices above, go with Xfasten! Okay maybe your production starts tomorrow and our Gaffer’s Tape guide has got you sweating thinking about how you need some NOW. Gaffer’s tape is extremely specialized, and the general public doesn’t even really know that it exists. So you aren’t going to find any Gaffer’s tape at Walmart or the Hardware store. Home Depot has gaffer’s tape listed on the website (way overpriced BTW), but does not sell it in stores. So where do you find Gaffers tape then? You probably want to check for film/prop stores in your area. Anywhere that rents film equipment out is likely to sell some, as well as places that deal with cameras. Don’t have any brick and mortar film stores in your area? The film industry isn’t the only one who uses Gaffer’s Tape. Theater techs, industrial stage workers, and musicians all frequently use Gaffer’s Tape. You can expand your search to anywhere that deals with theater equipment. If you aren’t having any luck with any of these suggestions, there is one place that you are likely to have in your town. A music store like Guitar Center! This discovery was super helpful to me, as when I was looking for gaffer’s tape for the first time a few years back, this was the only local place I could find it! Now of course, if you don’t happen to have any film, theater, or music stores in your area (really dude?) then you should probably recognize by now that you’re gonna need to just buy some online. We would be like, super stoked if you purchased some Gaffer’s Tape through one of our Amazon Affiliate Links in the section above. Support our site so we can write awesome articles for you. No pressure. You do you. I need a tape that is really strong but leaves no residues at all (totally clean when removed even after several months of use) Do you sell this type of tape, is it called the gaffer tape? What is it made of? How many colors are there altogether? Can I buy small qty to try first, maybe 5 rolls? What size do you have? I actually don’t sell anything myself, but it would help to support me if you purchased some through the links on my site! Gaffer’s tape is the film industry standard that leaves very little residue and is pretty strong. 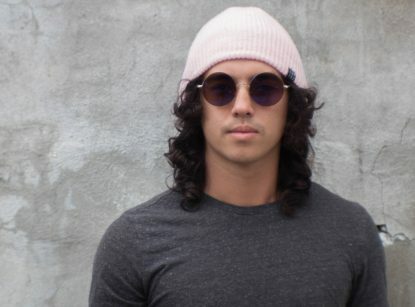 There are an endless amount of colors sold by various different manufacturers, and all of the brands listed in this article are pretty reliable! Good luck with your endeavors.